Living things create structures and processes using little energy, creating little waste and at room temperatures. Compare that to modern manufacturing techniques that "heat, beat, and treat," as Janine Benyus writes to shape. 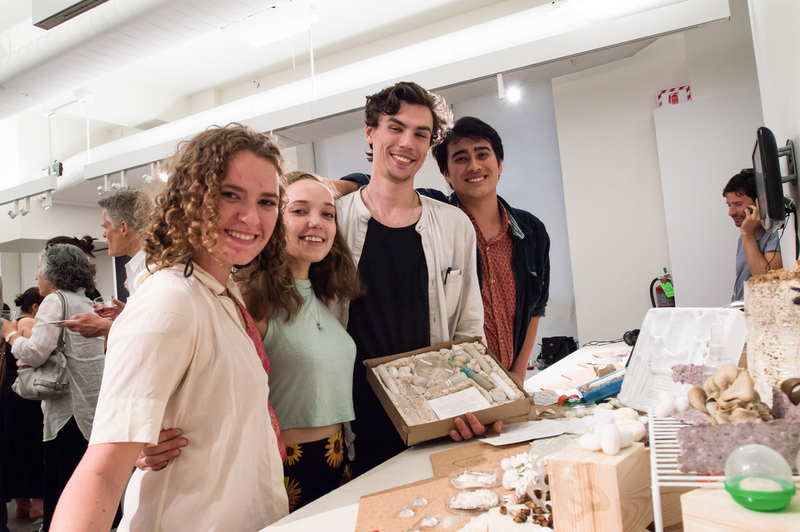 In 2016, the student design teams at MICA will explore new manufacturing methods that are grown from living things. Learn more about the course at http://dfabresearch.com/biofab16. A biomaterials starter kit designed to introduce makers to the expansive world of biomaterials, the contents of the Starter Culture kit, which include bioplastics, mycelium and silk proteins, can be propagated and shared among makers. A floating, mesh bullseye contains bioengineered algae that produce secondary fish products like fishmeal and oils. 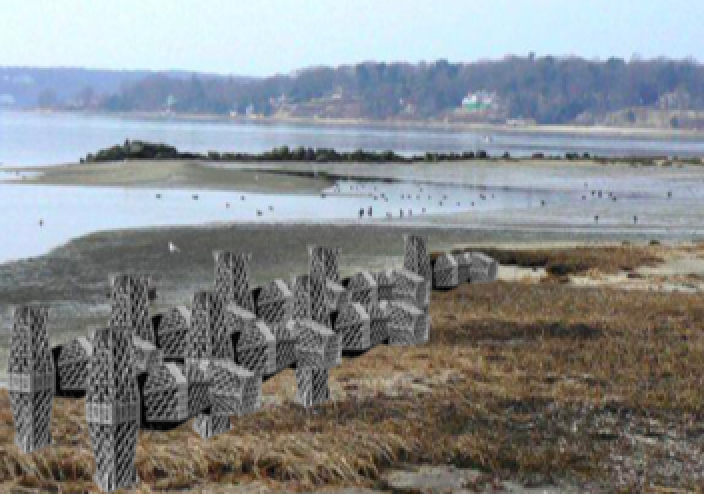 Calcium carbonate oyster habitats, Bay Blocks was developed for hobbyist oyster gardeners to collaboratively rebuild oyster beds on the East Coast.